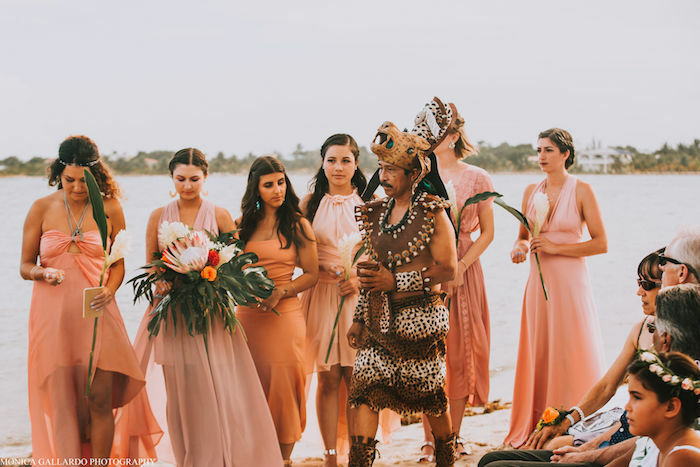 International destination weddings are on the rise, and with these pretty pictures it’s not hard to see why. 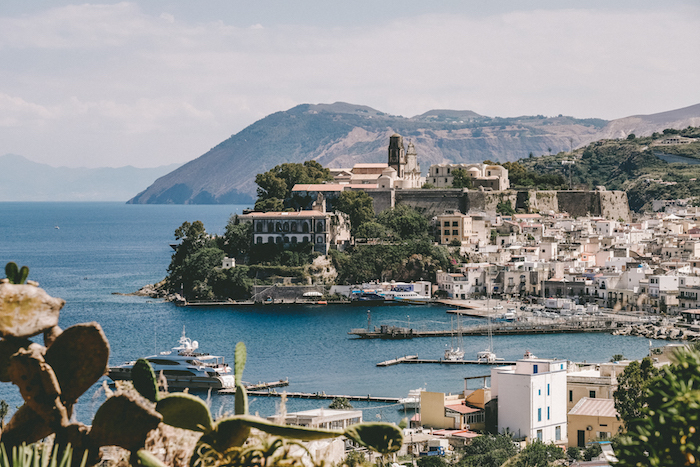 Lipari is the largest of the Aeolian Islands, in Italy. 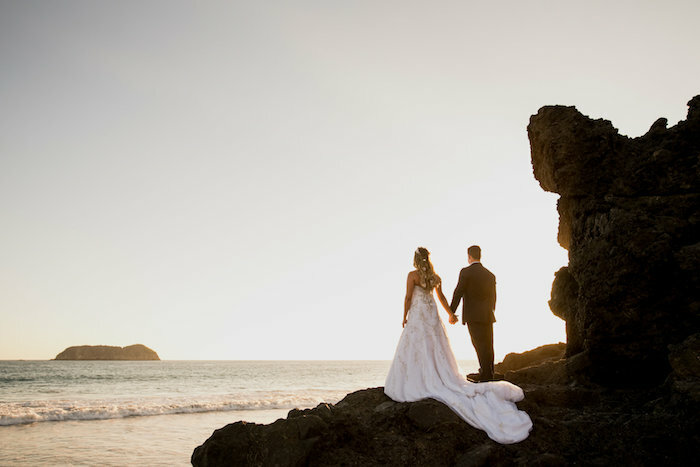 Its beautiful sea and landscapes have stolen the hearts of Nealle and Lucia, a couple from the UK. 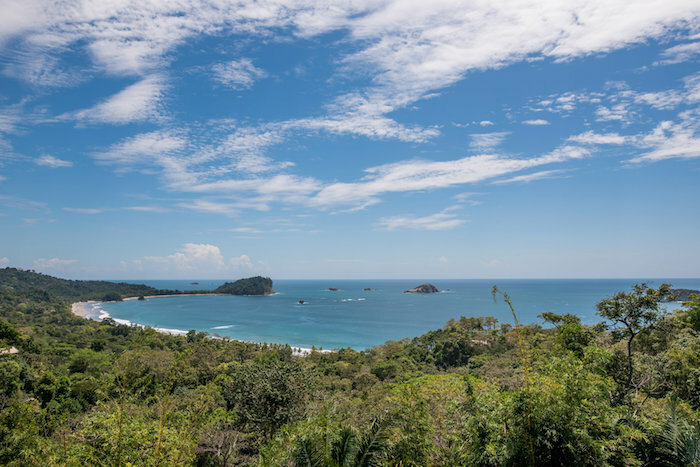 At first, they had their marriage proposal there and then they decided to get married in this island. 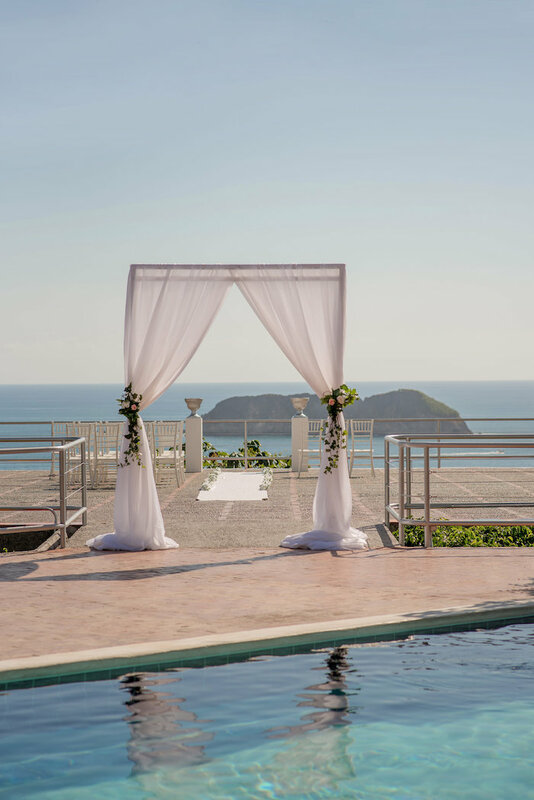 The couple was looking for a romantic style with a touch of glamour, set on the rooftops with coastal and rainforest views in Costa Rica. 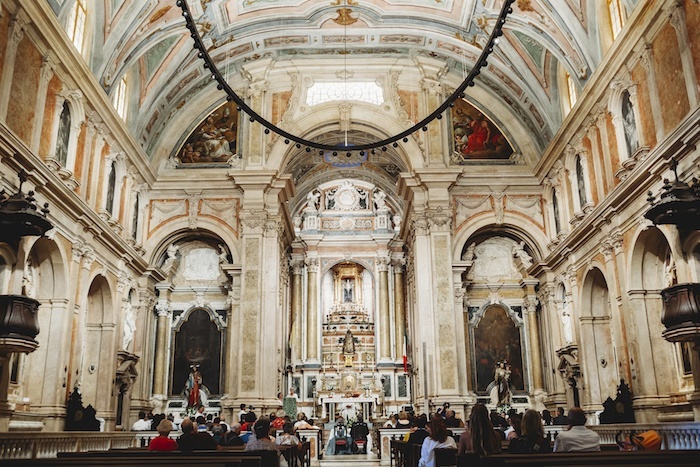 The venues were a big factor in achieving her vision. 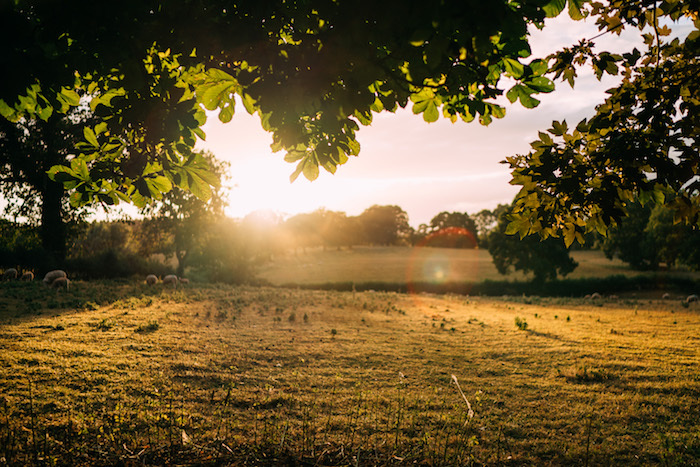 “When working in Belize, we sometimes forget how beautiful our palette is from the beginning. 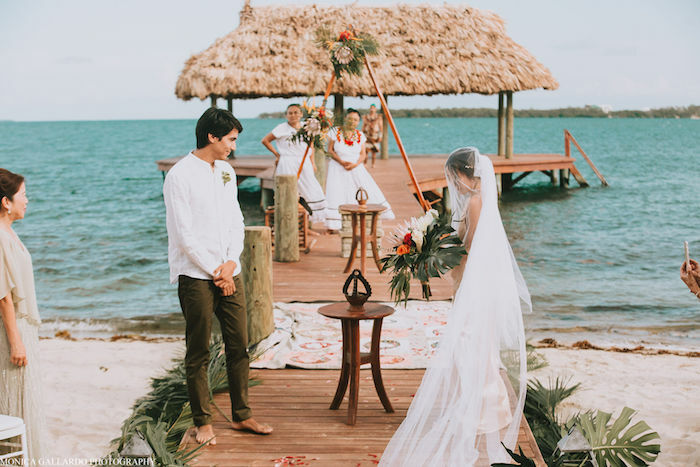 This wedding helped us embrace the beauty of the beach, and enhance it using local flowers, locally sourced food, and unique Belize elements”, says the wedding planner Rachel Roe. 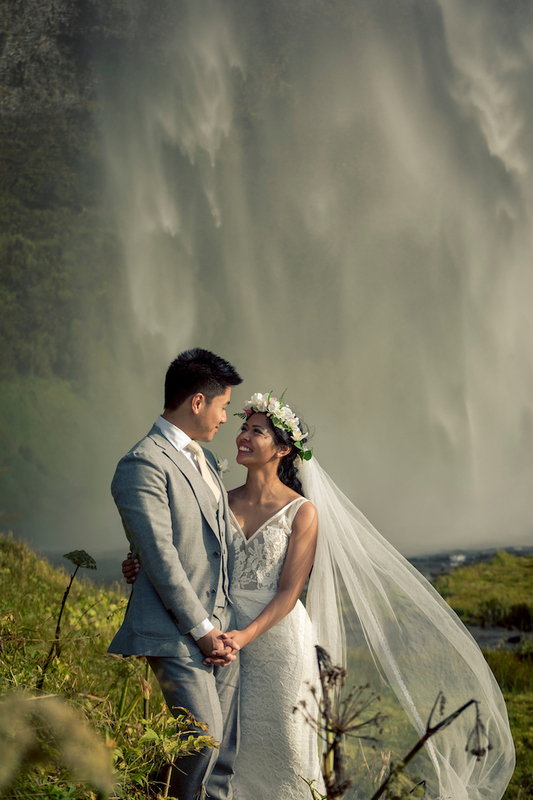 The couple wanted to get married by a waterfall and to go to some amazing locations for their photos after the ceremony. 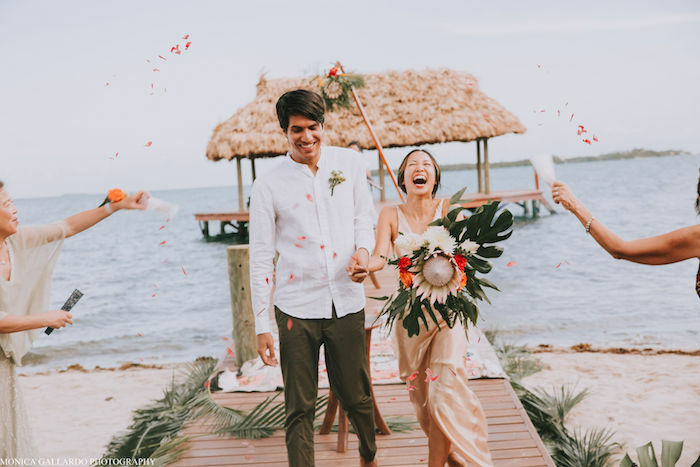 Adam and Valerie had already traveled together a lot and they wanted to have a day of adventure. 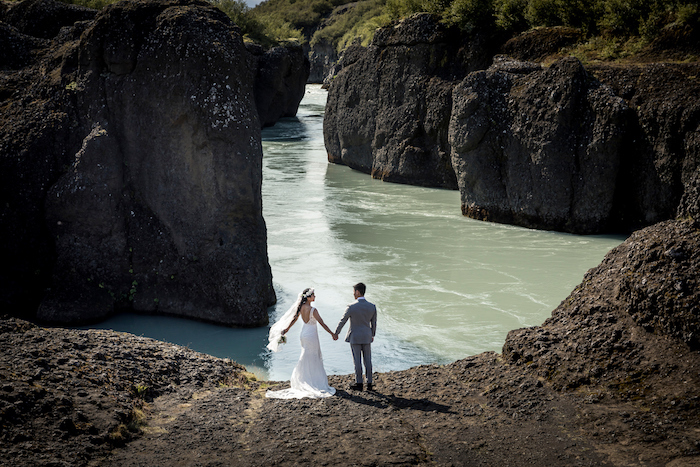 This wedding was an elopement and it did not have any special theme color – the Icelandic nature took care of the theme! 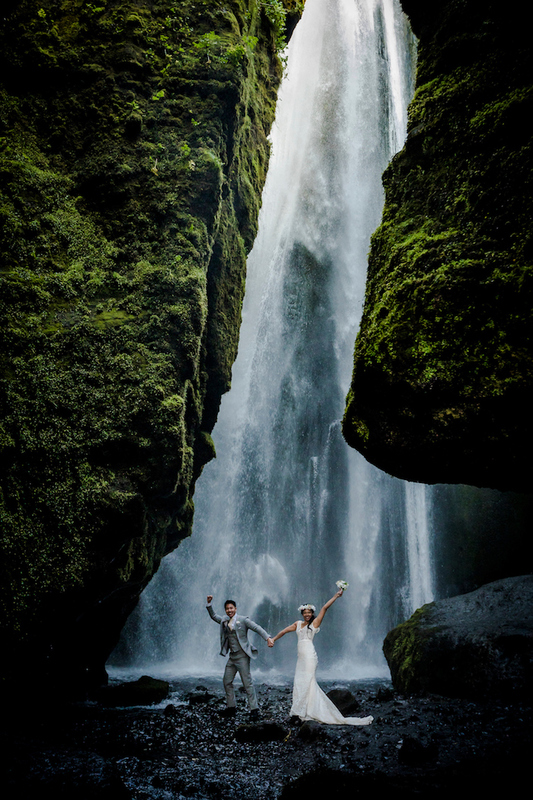 The wedding was based on the couple’s love for the outdoors (especially the bride). 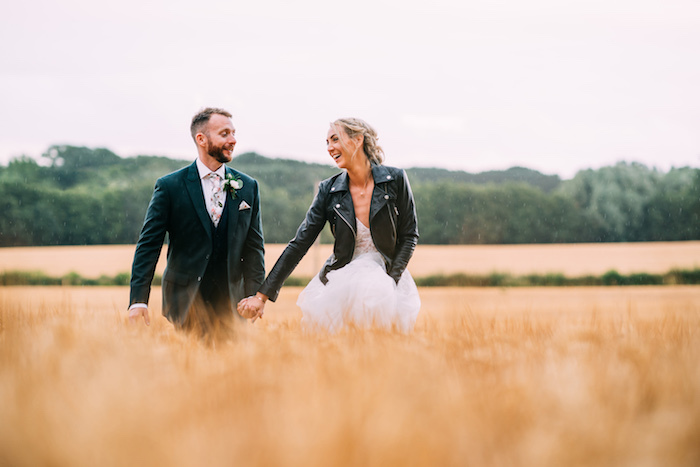 Having an outdoor ceremony was key, no matter what the weather was like. 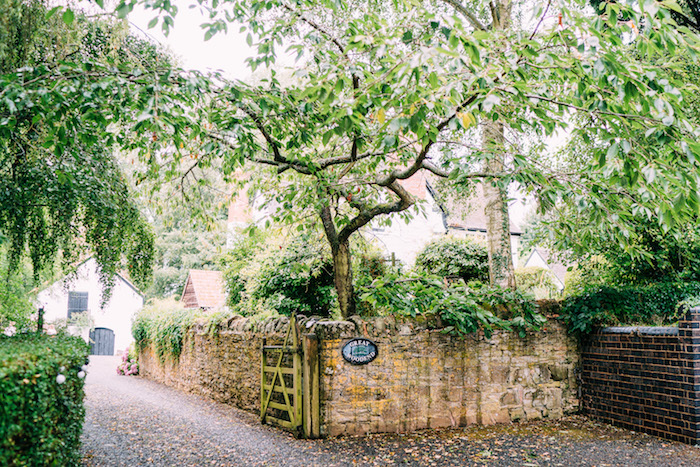 They brought the outdoors in by having place names written on leaves from their Grandmas garden and using tree pictures as the base for the table plan. Having an open-sided, double-hat tipi added to the atmosphere and gave you the sense of being outside but staying dry (well most stayed dry!). 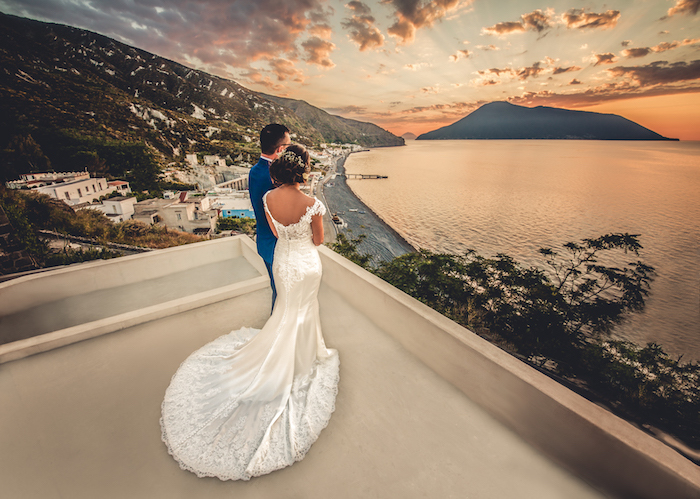 Vicky, the bride, has a large Greek family as both her parents come from Crete, so the wedding ought to have a Cretan character, highlighting the hospitality Greeks are known for, the good Mediterranean food and, of course, the fun! 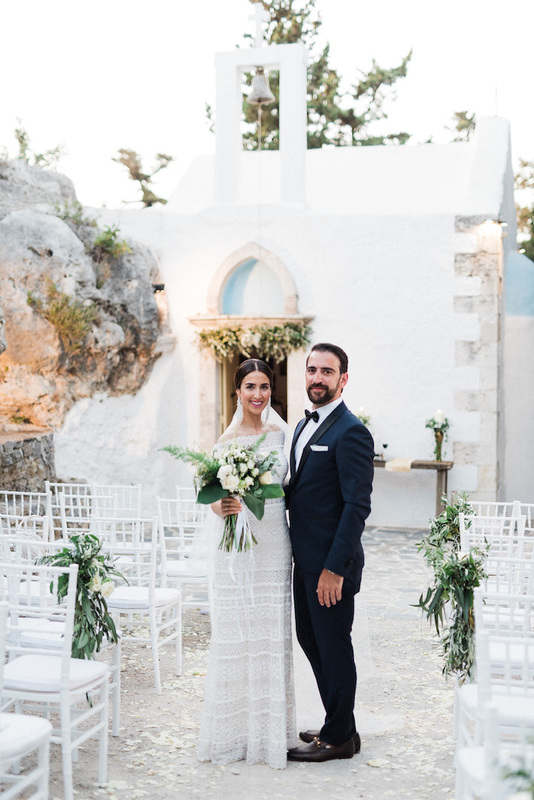 Anthony, with his Italian family and friends, brought such an elegance to the wedding with their carefully selected outfits and their amazing energy, that turned this wedding into an unforgettable party. 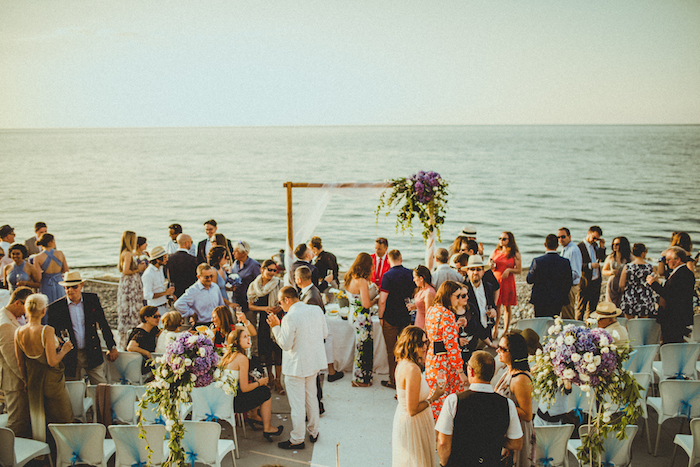 Can you imagine getting married on a boat? 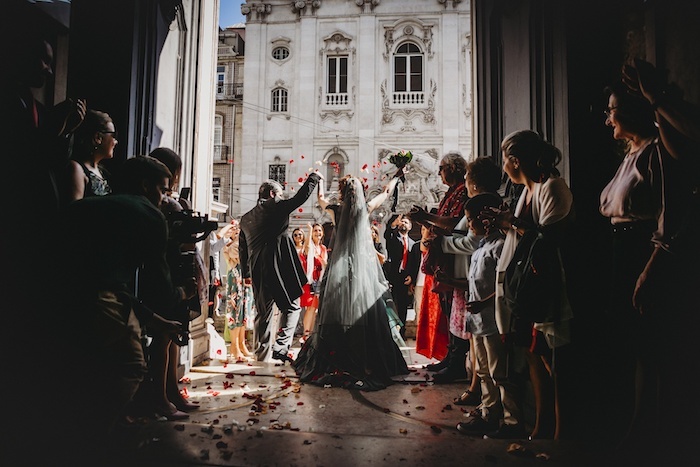 The Tagus River, in Portugal, was a big thing for this couple – they both love it, their proposal was held there and for Carla it was important to get married by the River. 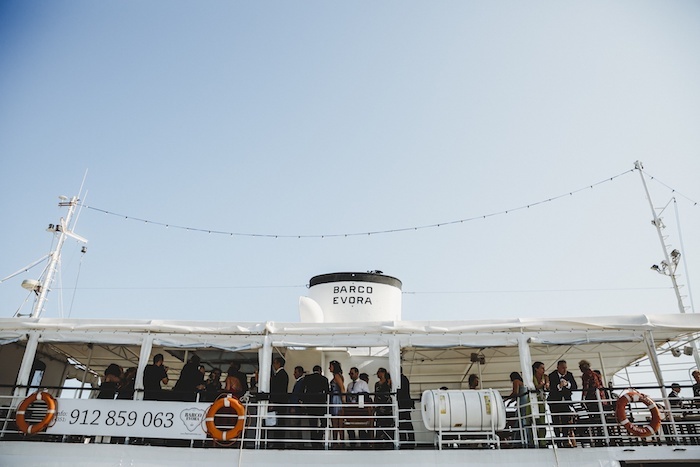 After a church ceremony, the couple took their guests to a boat tour in the Tagus River. 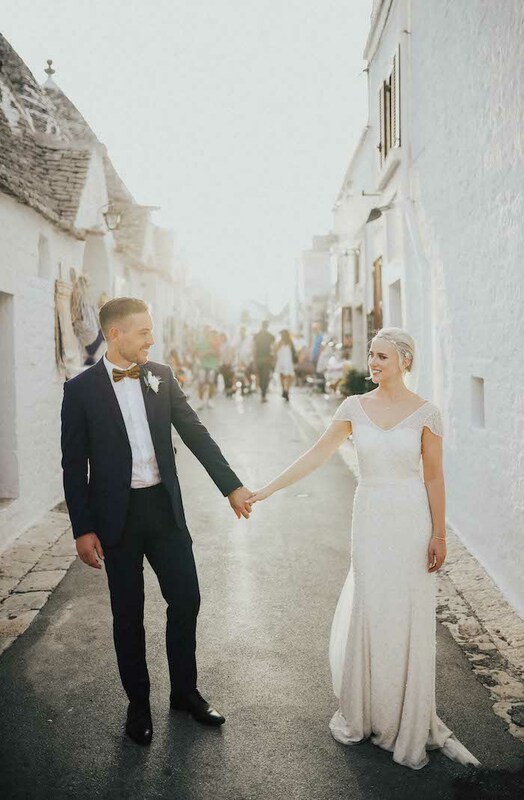 “The bride and the groom dreamed to have a venue close to the coast, possibly a masseria since they already knew this particulary kind of venue, so we focused the research on the Apulian territory. 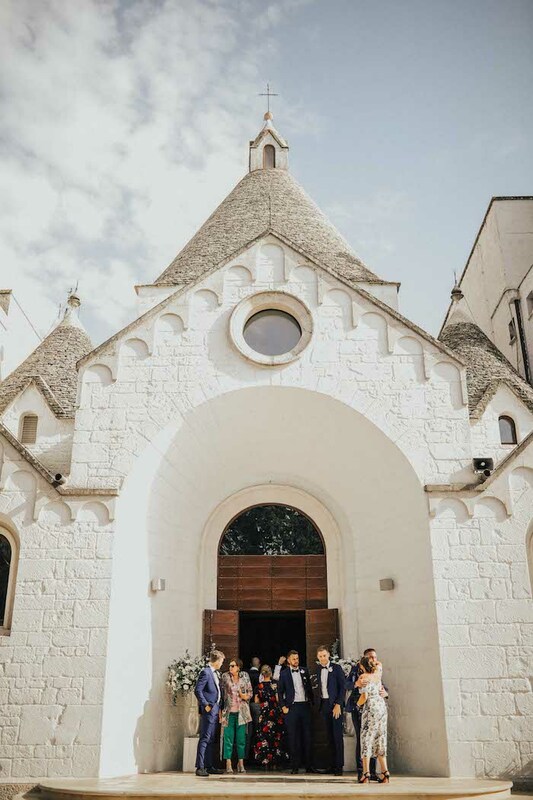 The choice of this wedding venue expresses the personality of this couple: two easy-going guys, very sweet and romantic”, says the wedding planner Serena Ranieri. 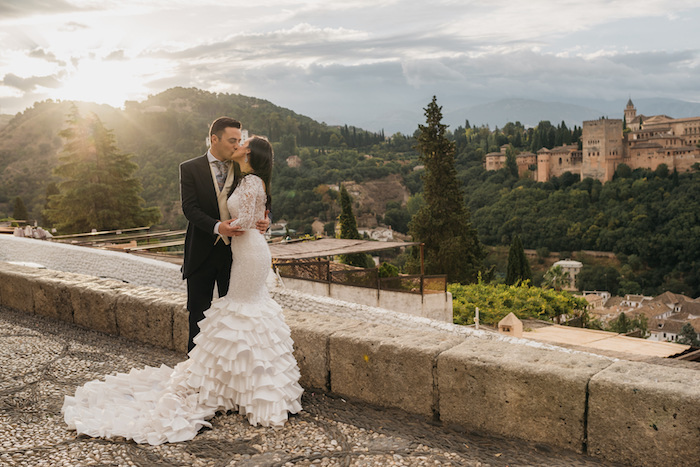 This couple got married in Murcia, Spain, but they had a really special request: to take pictures in a very memorable spot for them, “Mirador de San Nicolás” and la Alhambra, in Granada. 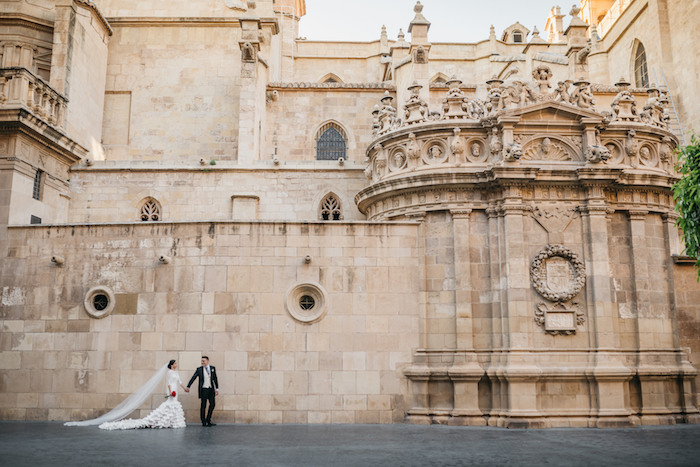 It was the first trip they took together and that was a real challenge as it is two hours away from Murcia. It was such an important part for them; they actually finished dinner, and went after the party in the early morning. 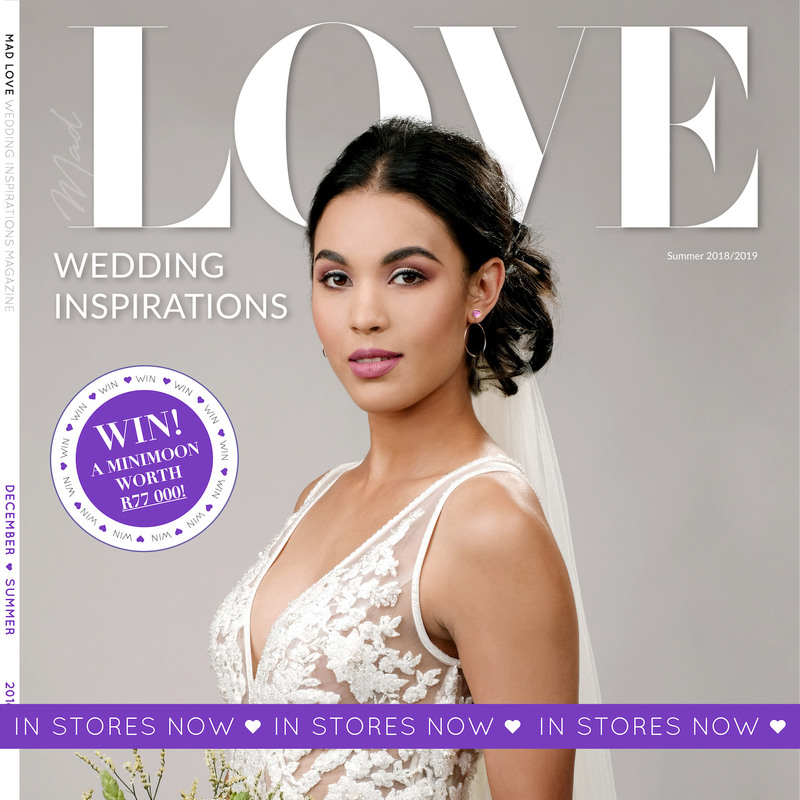 Courtesy of Belief Wedding Planners & Awards. 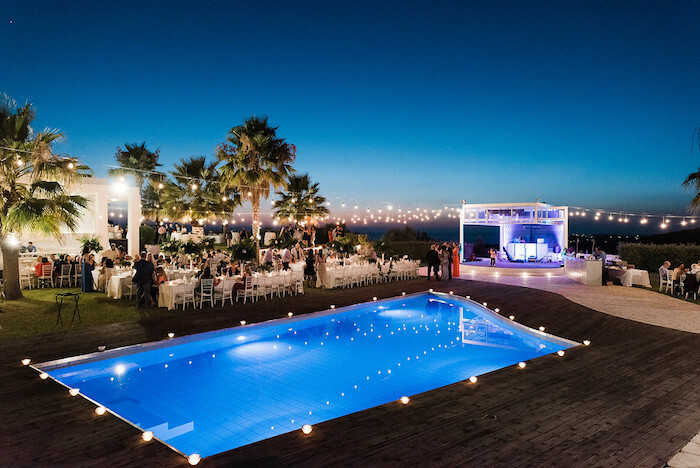 \Belief Wedding Planners is an international community for wedding planners. 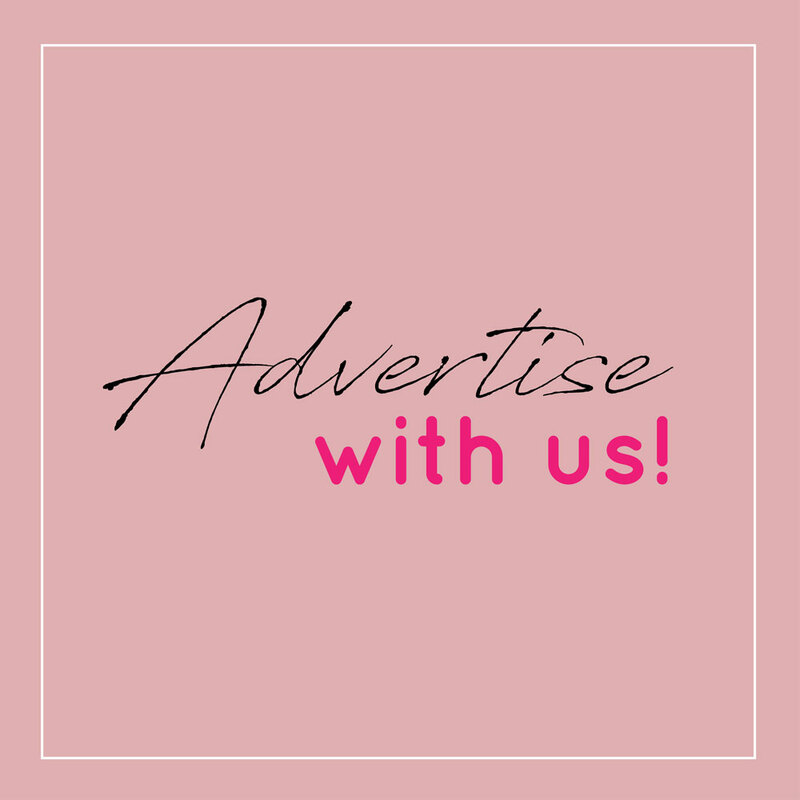 “We work daily to bring to our members a safe and active place so they can learn, share and build long-lasting connections without the hustle to be a lonely entrepreneur”, states Giovana Duailibe. 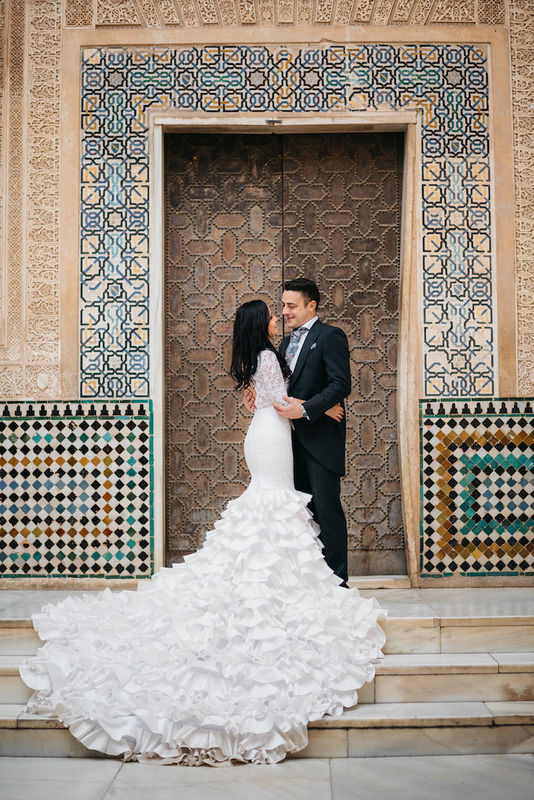 The Belief Awards is one of the most cherished programs of Belief Wedding Planners. 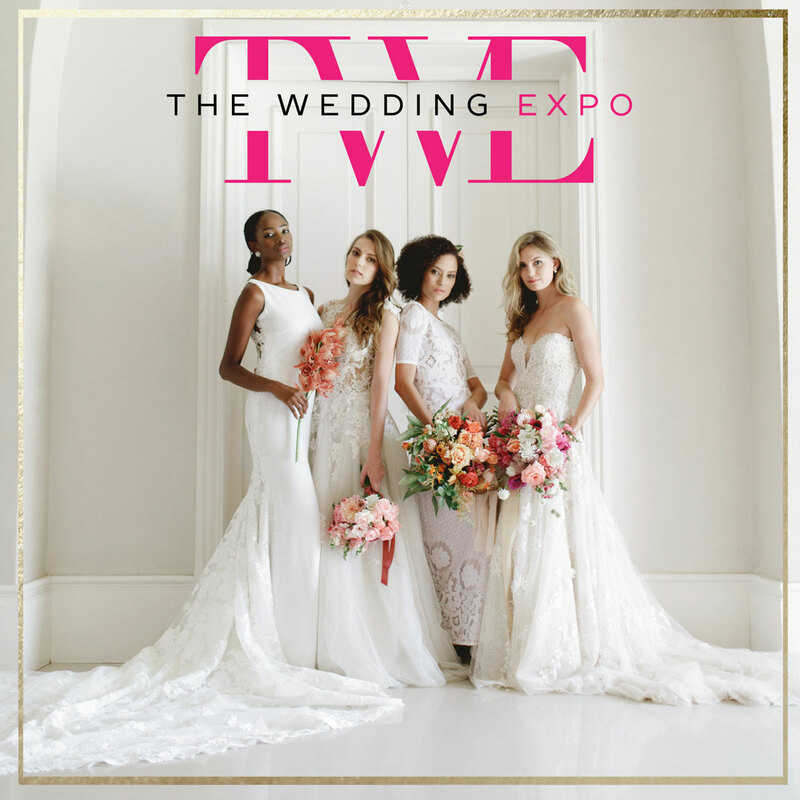 It is a huge opportunity to spread their talent worldwide and show all the importance of having a wedding planner part of the couple’s wedding. of things from it regarding bloɡging. thanks.